Question 1: What are your thoughts about Fei’s two major works? Question 2: In his view, this characteristic of pluralistic unity works not only for China but also for other multinational societies. How do you respond to these ideas? Question 1: Can you briefly introduce the status quo of the study of Fei Hsiao-tung’s thought in Western academia, and what we can learn from Fei’s ‘Pattern of Difference Sequence’ in understanding social structures? Question 2: Do you think Professor Fei’s aim in his old age to ‘enrich the people’ is a continuation of his academic interests or rather a transformation? What is the significance of his theories for present urban and rural construction? Question 3: What are the unique characteristics of Professor Fei’s theories? What meaning do they have for us as regards the age of globalization? Question 1: How can we understand Professor Fei’s research method and creative paradigm, which is so different from traditional studies? Question 2: What does this mean for sociology and anthropology in modern society? What methods do scholars adopt nowadays? Question 3: How should we understand Fei’s exploration and analysis from the perspective of social science? What is the difference between Fei’s perspective and that of other scholars? Editor’s note: Fei Xiaotong /Fei Hsiao-Tung (1910–2005) obtained his PhD under Malinowski’s supervision at the London School of Economics (LSE) in 1938. Of the 20 volumes of his completed works (Fei 2010e), two books are well known in the West: Peasant Life in China (1939), and Xiangtu zhingguo (1947) – translated as From the Soil: The Foundations of Chinese Society by Gary Hamilton and Zheng Wang in 1992. As one of China’s finest sociologists and anthropologists, Fei was instrumental in laying a solid foundation for the development of sociological and anthropological studies in China, and his work helped to influence China’s social and economic development. Fei was awarded the Malinowski Prize of the International Applied Anthropology Association in 1980, and the Huxley Memorial Medal of the Royal Anthropological Institute in 1981. This is an original version of a dialogue on Professor Fei Xiaotong’s academic achievements. This is an original version of a dialogue on Professor Fei Xiaotong’s academic achievements. The dialogue was arranged by Mr Wu Zitong, editor the China Reading Weekly (《中华读书报》), to commemorate the 100th anniversary of the birth of Fei Xiaotong in 2010. Mr Wu put a series of questions to Professor Gary Hamilton (Co-Translator of Fei Xiaotong’s From the Soil) and Dr Xiangqun Chang (Author of Guanxi or li shang wanglai? Social support, reciprocity and social creativity in a Chinese village (2010), based on fieldwork in Kaixiangong Village, where Fei Xiaotong did his research for the Peasant Life in China (1939). Its Chinese version was originally translated by Zhang Haoyuan and Pu Yao, published in the China Reading Weekly (3rd and 10th November 2010). 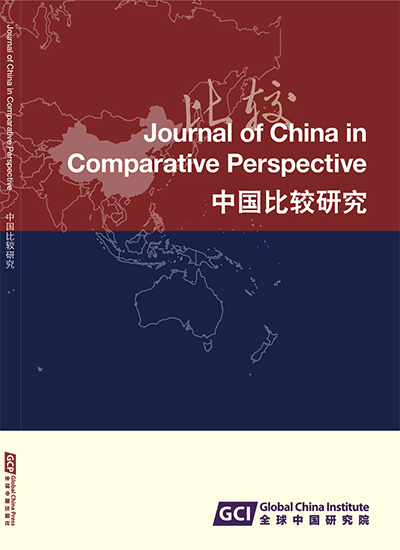 The abridged and revised version was entitled ‘China and World Anthropology: A conversation on the contributions of Fei Xiaotong (1910–2005)’, Anthropology Today, No. 6, 2011. This original dialogue covers three areas: Fei Xiaotong’s academic achievements, theoretical contribution and research methods. Gary G. Hamilton 韩格理 is Henry M. Jackson Professor, Department of Sociology and The Jackson School of International Studies, University of Washington (Seattle), formerly Associate Director of the School. He is the author of Emergent Economies, Divergent Paths, Economic Organization and International Trade in South Korea and Taiwan (2006), Commerce and Capitalism in Chinese Societies (2006), and The Market Makers: How Retailers Are Changing the Global Economy (2011). He is also well known in China for introducing Fei Xiaotong’s book From the Soil – The Foundations of Chinese Society (1994) to the English-speaking world. 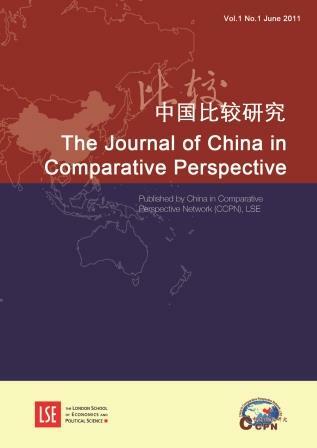 Xiangqun Chang 常向群 is Director of Global China Institute and CCPN Global, Editor of Journal of China in Comparative Perspective (JCCP), Chief Editor of Global China Press, and Senior Consultant of Global China Unit. She is also Honorary Professor of UCL (University College London), UK; and holder of several Professorships and Senior Fellowships at Peking, Renmin, Fudan and Sun Yat-Sen Universities in China. Her publications in English and Chinese amount to two million words and include Guanxi or Li shang wanglai? : Reciprocity, Social Support Networks, and Social Creativity in a Chinese Village (2009 in Chinese; 2010 in English).